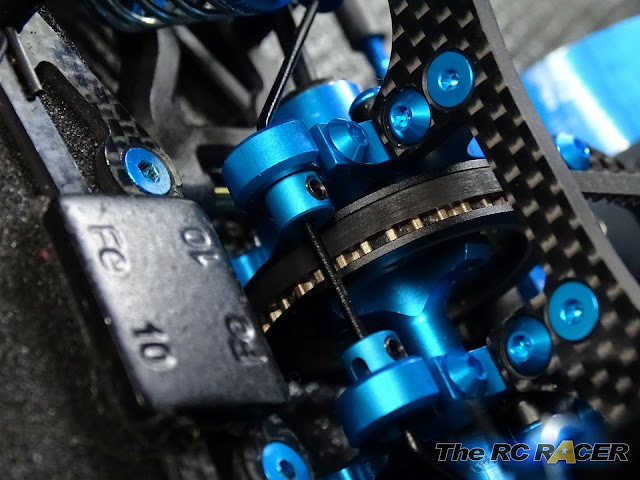 Tamiya fans know that 'Blue is best!' We have no qualms about adorning our cars with additional shiny parts that can usually (although not always) improve performance. I always run lightweight screws in my race cars. 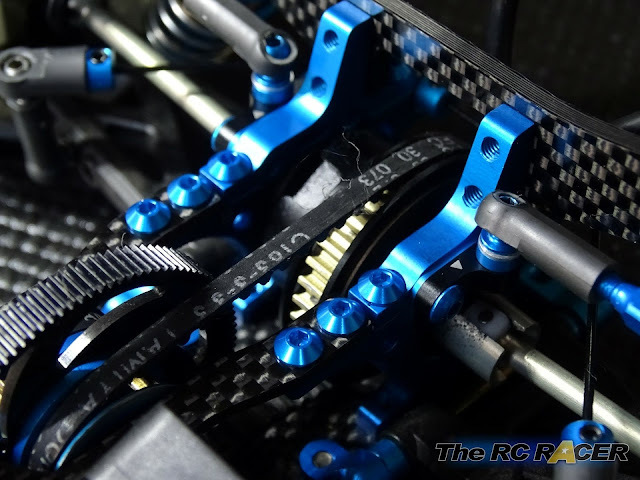 I fit MoodyFools titanium screws and then use the blue aluminium Tamiya screws on some parts because I like the aesthetics. 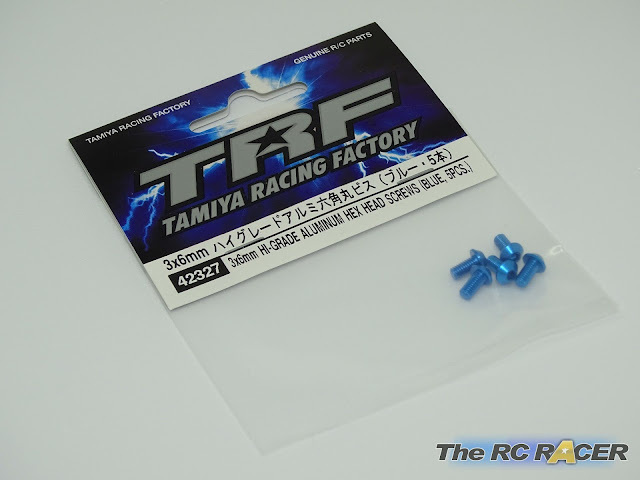 The Tamiya screws are nice and light, but as you would expect with aluminium they are not as durable or strong as the titanium screws. The first thing you notice when you look closely at the screws is that the profile of the head is slightly different. It is is taller and more angular and it has a straight lip. Also importantly the intersection between the head and the thread is very sharp and at 90 degrees, ensuring that the attached screw will sit straight and true, avoiding tweak. These really do look very well machined. Before mounting them to the chassis I did a quick weight check. The Tamiya hi-grade screw is 0.03g heavier. This could be because of the different profile of the screw head, or the aluminium used. The screws fit nicely as you would expect. Whilst it is tempting to cover the whole car in blue screws, you only want to use these in areas that are not going to suffer hard impacts. So I still used the titanium screws under the car and also to mount the shocks etc. Here you can see the difference between the new hi-grade screws (Towers and bulkhead) and the less durable Tamiya blue screws (Bumper mount). I replaced them soon after. 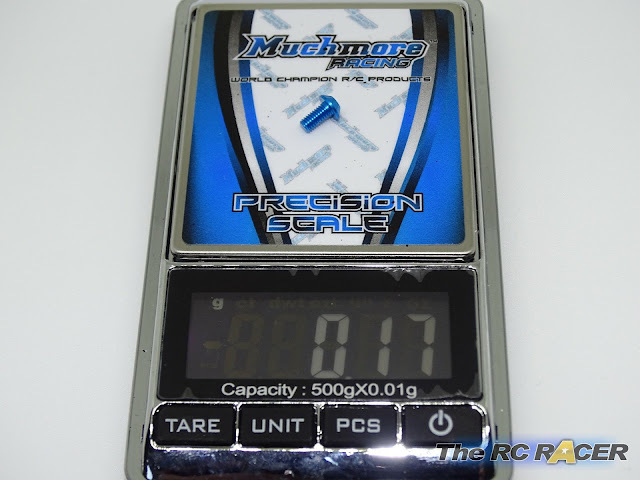 Overall these screws are very high quality, they are lightweight and they also offer a cosmetic boost. 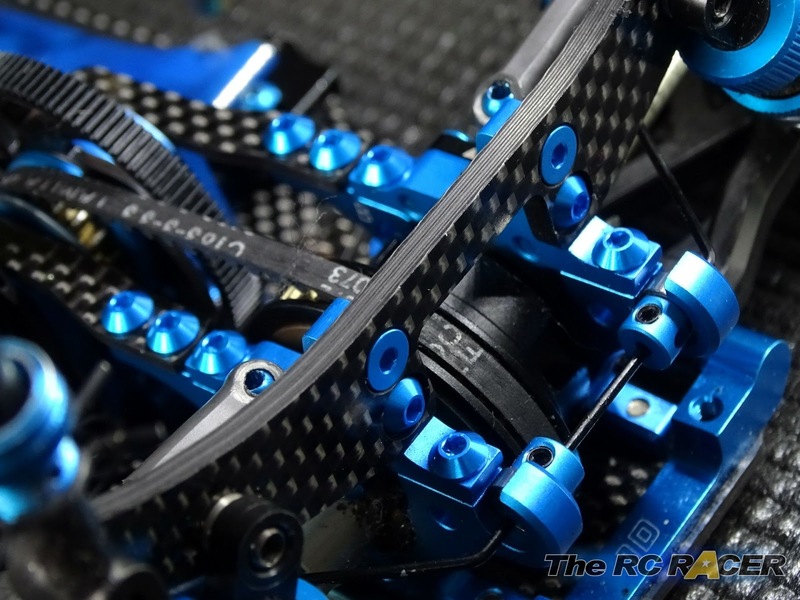 They are not cheap, so it is just a personal decision on if you want to adorn your chassis with them.